Kylie Jenner's Snapchat is a treasure trove of beauty tips. She's taught us how to quickly zap a pimple and get the perfect asymmetrical cut, and has shared enough Lip Kit material to hold us over until the next color becomes available (and subsequently sells out). Her most recent beauty Snap hack comes by way of her makeup artist Hrush Achemyan, who showcased a brilliant trick that involves a $6 men's product to control oily skin and provide the perfect base for your foundation. Check out the videos below to find out what it is! 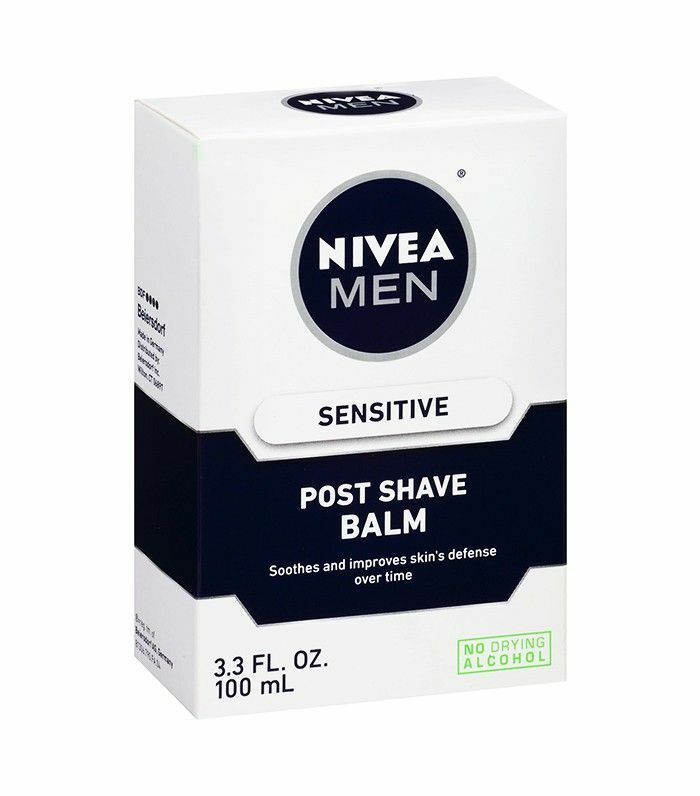 The product in question: Nivea Men Post Shave Balm ($6).This inexpensive tip was first brought to the masses by vlogger Nikkie de Jagger (better known as NikkieTutorials) in 2015 who discovered the game-changing drugstore find after running out of moisturizer and grabbing the product from her boyfriend's stash on a whim, which is likely where Achemyan picked up the tip. Acheyman uses a wedge sponge to apply the balm in downward strokes to set the stage for perfect makeup. So what's the science behind using it before foundation? For starters, it's infused with witch hazel, which helps remove excess sebum and keep skin's oil levels regulated throughout the day, as well as soothing chamomile to ease redness, hydrate, and smooth the skin. Lastly, it's got vitamin E and B5 to help the skin repair itself and even go to work on fine lines. We'd say this is a winning product all around. What's your secret weapon for oily skin? Sound off below!